Yes, wide leg pants are back! But it seems a bit silly to me, since both skinny jeans and flares are "current" and short cropped pants and ones similar to what I am wearing. So there seems to be less rules and more choices. 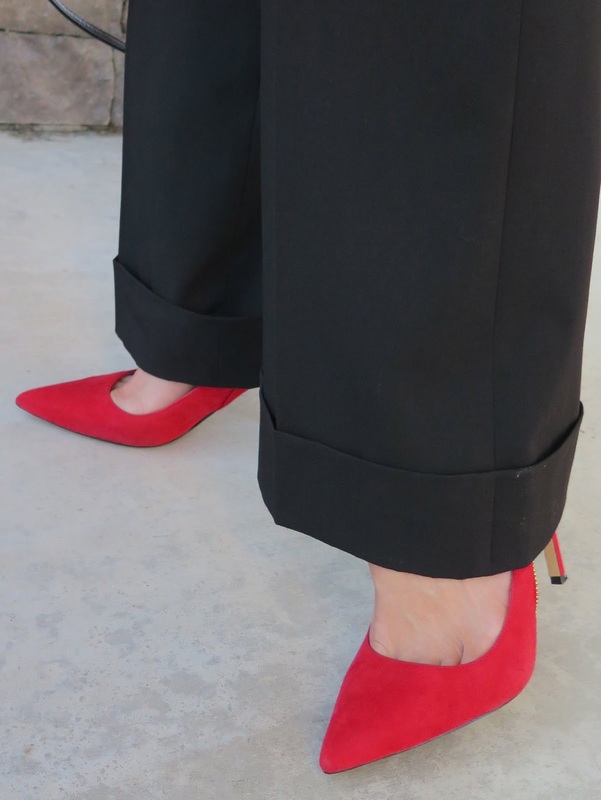 Red pumps for a pop of color- I love the red shoes I found below- they are a knock-off of the Valentino Pumps, and they save you $900! Floppy hat from Forever 21 is something current and fun!